For bird lovers, this is a signal tragedy of climate change. A New England loon has died of tropical malaria. In what they believe is the first such confirmed case in the world, researchers say malaria killed a common loon last summer in the Umbagog National Wildlife Refuge in New Hampshire and Maine. Mark Pokras, professor emeritus of wildlife medicine at Tufts University, guessed the loon was bitten by a disease-carrying mosquito and likely died within a week or two. Without perfect timing, the discovery might never have been made. Most dead birds in the wild are not discovered until they are badly decomposed, which would have made pinpointing malaria as the killer almost impossible. But campers spotted the freshly dead bird floating on Lake Umbagog, and waved in a refuge summer loon observer, Dan Eastland, as he passed by on patrol. Eastland, a student at Unity College, collected the bird and brought it back to Umbagog staff biologist Sean Flint. They chilled the bird and Eastland drove it to the Loon Preservation Committee near Lake Winnipesaukee. Intern Tori O’ Toole then drove the carcass to Durham to be examined by Inga Sidor, a New Hampshire state senior veterinary pathologist. The finding adds to sobering evidence of avian malaria transmission in the far north. 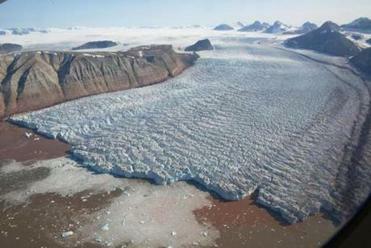 In 2012, a team led by researchers at San Francisco State University confirmed it for the first time in both resident and migratory birds in the Arctic. Humans do not get avian malaria, and it has been long present in many migratory songbirds that coevolved with parasites by wintering in the tropics. But the study said that the northward expansion of the disease could have “devastating impacts” on bird species with no natural resistance. Malaria has sped bird extinction in Hawaii, which once had no native mosquitoes. A decade ago, a survey involving Pokras, Sidor, and the Biodiversity Research Institute in Maine found no malaria parasites in loon blood smears in New England, the Upper Midwest, or Canada. In 2010, aided by advanced molecular techniques, Martinsen made the first-ever discovery of a “high prevalence” of several different species of malaria parasites in loons. This is a discouraging turn — both for the loon, and for the ecology of the Northeast. Through intense conservation efforts, the loon has rebounded in New England. 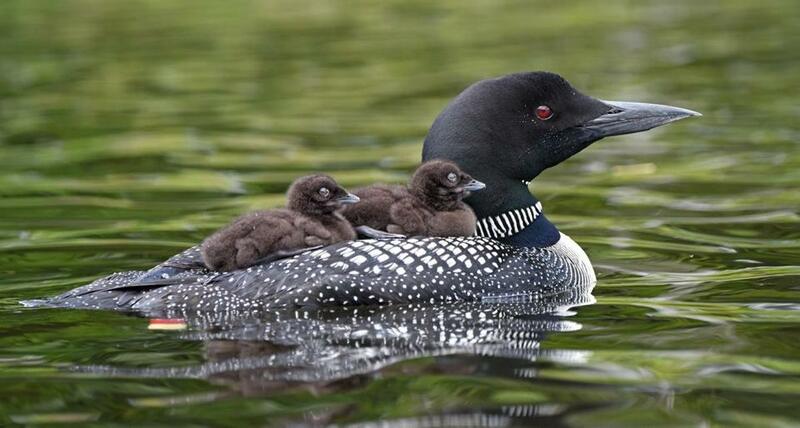 Umbagog is home to the oldest-known loon in the northeastern US, at least 26 years old and perhaps pushing 30. I was fortunate to photograph that bird last summer, as it gave its two newly-hatched chicks a ride on its back. All this makes Umbagog “Water Zero” for loons. The old bird symbolizes a triumph of conservation. The dead bird represents a bell tolling for the planet. The late Harvard public health expert Paul Epstein witnessed malaria creeping up the mountains of Kenya in the late 1970s and warned, until his death in 2011, that, with global warming, infectious disease would spread among humans. Umbagog now shows how a disease from the far South can come up and over the mountains to kill the most iconic bird of the North Woods. Derrick Z. Jackson is a Globe contributing columnist and a climate and an energy fellow with the Union of Concerned Scientists. He can be reached at jackson@globe.com.